Turmeric is a yellow coloured spice used in a number of South Asian cuisine. Turmeric has excellent anti-inflammatory properties. It reduces the release of COX-2 prostaglandins hormone-like substance that is responsible for inflammation. You ca drink about a teaspoon of turmeric powder along with warm milk or take turmeric in the form of capsule. Ginkgo is a chinese herb which has been used for treatment of asthma for a long time. Taking about 60 to 250 mg of ginkgo once a day can help in easing your breathing problem. Garlic has been known to decrease asthma symptoms by decreasing chest congestion. Make a garlic tea by boiling 2 3 cloves of garlic with water. Add a small amount of tea to make it taste better and drink this mixture once a day. That heavenly aroma of coffee is quite tempting, especially in the morning. Here is the good news, coffee has chemicals that help in increasing the diameter of air passage. Drinking a cup of coffee may actually give a good start to a day free of coughing, wheezing or gasping. The usefulness of honey for health has been proven from time to time. Taking about half a teaspoon of honey along with a pinch of cinnamon powder just before going to bed can give you a peaceful night's sleep. Not only this, but inhaling honey can also reduce chest congestion because of the natural aromatic compounds present in it. Ginger can also prove helpful in reducing asthma symptoms. Take about an inch of ginger, cut it into small pieces and boil it with water. Allow the mixture to cool and drink it. This will help in reducing wheezing and coughing. Omega 3 fatty acids work much like leukotriene inhibitors, a class of asthma drugs. Omega 3 fatty acids are found in abundance in salmon, tuna and mackerel. Add these fishes to your diet. Mixing mustard oil with a small amount of camphor and rubbing it with gentle hands on the chest, during an asthma attack can give relief from coughing and gasping. Massaging ith mustard oil helps in clearing air passage and eases breathing. 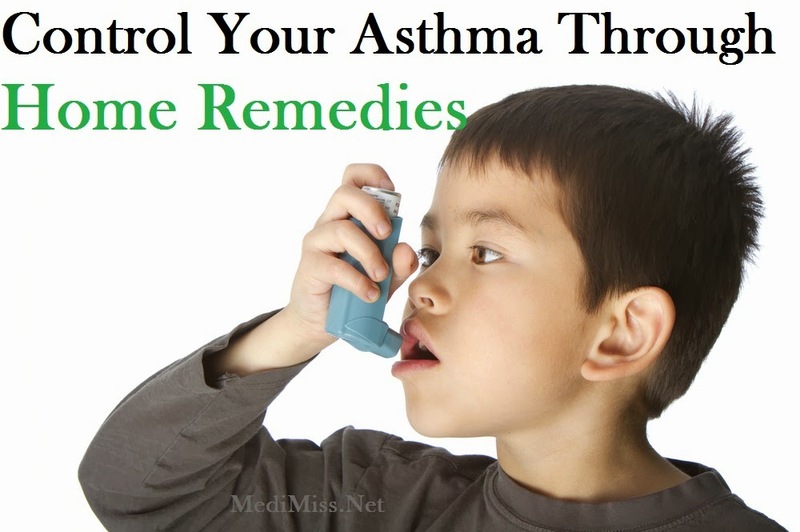 You will find a number of remedies for asthma. Some of them might work for your while others don't. It is essential that you first consult your doctor before trying any of these remedies.